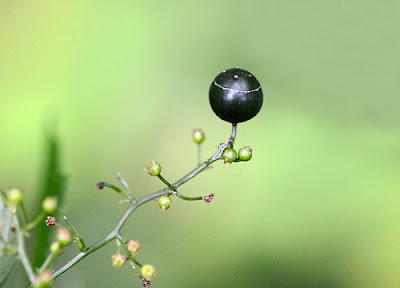 Jiaogulan (Gynostemma Pentaphyllum) other names : Adaptogen, Adaptogène, Amachazuru, Dungkulcha, Fairy Herb, Ginseng du Sud, Gynostemma, Gynostemma pedatum, Gynostemma pentaphyllum, Herbe de l’Immortalité, Immortality Herb, Jiao Chu Lan, Jiao Gu Lan, Miracle Grass, Penta Tea, Plante de l’Immortalité, Southern Ginseng, Thé de l’Immortalité, Vitis pentaphylla, Xian Cao, Xianxao. Jiaogulan (botanical name Gynostemma pentaphyllum) is a perennially growing plant belonging to genus Gynostemma. This genus is a member of the family Cucurbitaceae, which also includes melons, gourds and cucumbers. Jiaogulan, however, does not bear the characteristic fruit produced by other members of this plant family. 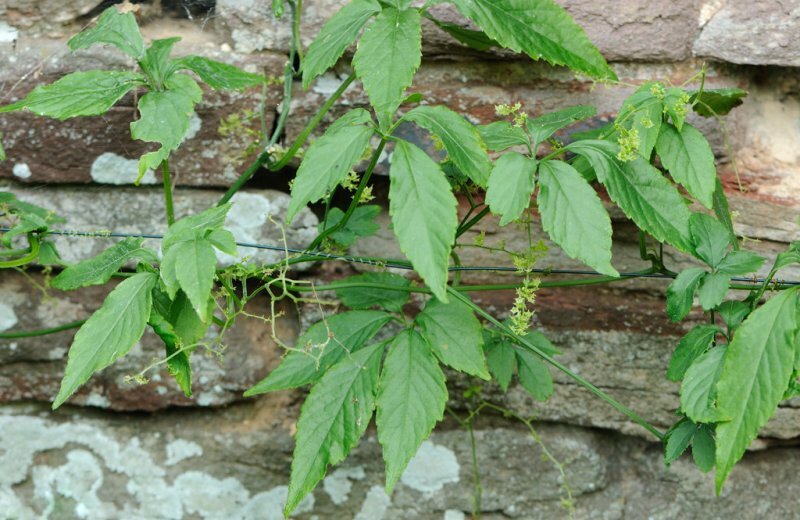 This is a climbing plant that attaches itself to neighbouring plants or posts for support by means of its tendrils. The Jiaogulan usually grows up to a length of 8 meters. Jiaogulan produces serrated leaves that usually grow in clusters of five. However, some species of this genus may even produce clusters comprising three or seven leaves. Plants of this genus are in bloom during July and August. The blossoms are dioecious in nature (each flower only carrying either male or female part). This is the main reason why both male and female flowers need to be cultivated close to each other to obtain seeds. Plants belonging to this genus cannot fertilize by themselves, but are pollinated by insects. In China, Jiaogulan was extensively employed by the common people. In fact, the herb called ginseng was expensive and, hence, used by their emperor, aristocracy and the affluent. As Jiaogulan has all the therapeutic attributes possessed by ginseng and is relatively very cheap owing to its easy availability, Jiaogulan was mostly used by the common people. In most places having temperate climatic conditions, it is possible to grow Jiaogulan in the form of an annual plant, provided the soil is well-drained and the plants receive full sunlight. However, it is worth noting that Jiaogulan does not thrive in cold climatic conditions, especially when the temperature is lower than freezing point. Jiaogulan needs a fertile, well-drained soil that can retain moisture. Jiaogulan grows best in a protected position and in semi-shaded places. Jiaogulan is a climbing plant, which attaches itself for support through its tendrils. The species is dioecious and it is essential to grow both the male and female plants in close vicinity if you require its seeds. However, it has been found that some plants of this species are also monoecious. Jiaogulan is a plant that grows wild in China. The leaf of Jiaogulan is used to make medicine. Jiaogulan is sometimes referred to as “Southern Ginseng” because it grows in south central China and is used in similar ways as ginseng. Jiaogulan is used for high cholesterol, high blood pressure, and improving heart function. Jiaogulan is also used for strengthening the immune system, increasing stamina and endurance, increasing resistance to environmental stress (as an “adaptogen”), improving memory, and preventing hair loss. Other uses include treatment of poor appetite, cough, chronic bronchitis, ongoing stomach pain (chronic gastritis), pain and swelling (inflammation), ulcers, constipation, stress, gallstones, obesity, cancer, diabetes, trouble sleeping (insomnia), backache, and pain. Jiaogulan is believed to be an adaptogenic herb, which helps to restore the normal balance of one’s entire body. In addition, this adaptogen is also useful in augmenting the strength as well as the stamina of the body. It also helps to protect the body as well as the mind from all types of stress, including physical and mental. This adaptogen is particularly useful for our digestive, nervous, immune, cardiovascular and reproductive systems. Jiaogulan works as an extremely powerful health tonic. Jiaogulan encloses saponins, which are said to be responsible for the herb’s adaptogenic properties. In fact, among all natural plants, the saponin content of Jiaogulan is the highest. Precisely speaking, compared to ginseng, Jiaogulan contains four times more saponins, which are known as "gypenosides". These saponins are similar to those contained by ginseng and called "ginsenosides". When ingested some amount of the saponins contained by Jiaogulan convert to ginsenosides. Therefore, consuming Jiaogulan not only provides you with the useful gypenosides, but also ginsenosides, which are usually found in ginseng. As Jiaogulan is comparatively very inexpensive, it is an extremely popular and widely used health supplement, especially in China. In Asia, Jiaogulan has become very popular, especially as a supplement in weight control programs. As far as the body weight is concerned, Jiaogulan is effective in two ways. While Jiaogulan helps overweight or obese people to shed some extra flab, it helps slender people as well as athletes to put on weight. At the same time, Jiaogulan also facilitates in regulating the blood sugar levels and decreases hyperlipidemia (body fat). All these actions of Jiaogulan are crucial for optimizing the metabolic functioning of the body. Jiaogulan is also effective in maintaining healthy bowel movements. In addition, Jiaogulan also works to cleanse the stomach and intestines by getting rid of the toxins and waste materials from the body. Jiaogulan is also helpful for sustaining the stand levels of blood sugar and eliminating harmful fats from the bloodstream. Ensuring normal blood sugar levels and getting rid of damaging fats from the bloodstream it enhances the functioning of the metabolic system. Studies undertaken with Jiaogulan to treat people with type 2 diabetes have demonstrated that it results in quick improvement of insulin and glycemia sensitivity. In this way, Jiaogulan provides a basis for an effectual as well as safe means to treat type 2 diabetic patients. Jiaogulan is a potent antioxidant and helps to reinforce the immune system by means of augmenting the number as well as intensifying the functioning of white blood cells. In addition, Jiaogulan is also helpful in alleviating stress, as consuming Jiaogulan soothes and also unwinds the central nervous system. Jiaogulan also has calming effect, especially when it is used by an overexcited person. On the other hand, Jiaogulan also stimulates a person when a person is depressed. Recent studies have revealed that Jiaogulan is also effective for treating neurological problems, for instance stress, anxiety and depression. People in China use Jiaogulan to lessen exhaustion, cure bronchitis and also enhance sexual function. In addition, Jiaogulan also works as a tonic for the entire body. In fact, Jiaogulan is considered to be a potent tonic for health. Use of Jiaogulan also helps to lower the level of serum cholesterol, bad cholesterol (low density lipoprotein or LDL) and triglycerides. Jiaogulan also works to improve the good cholesterol (high density lipoprotein or HDL). Jiaogulan is also effectual in bringing down high blood pressure (hypertension) and augments the functioning of the cardiovascular system by means of improving blood circulation through the coronary system and lessening vascular resistance. Jiaogulan is also capable of discharging nitric oxide, thereby relaxing the blood vessels. Jiaogulan is also useful for arresting the aging process and it also possesses attributes that offer a longer and healthier life. The anti-aging effects of Jiaogulan are attributed to its aptitude to augment the antioxidant called superoxide dismutase (SOD). In fact, superoxide dismutase is also extremely useful in putting off oxidation damage caused by detrimental free radicals. Consumption of Jiaogulan on a regular basis may enable a person to be in sound health till they are very old. Jiaogulan is very popular among bodybuilders and athletes, as it helps to augment strength and stamina. Jiaogulan is useful in building the lean muscles and diminishing tiredness. In addition to the above mentioned therapeutic properties, jiaogulan also encloses several trace minerals, vital minerals, amino acids as well as vitamins that are generally useful for our body. This is known to be an extremely potent herb. A number of studies have been undertaken to examine the anti-cancer actions of Jiaogulan. Findings of these studies have revealed that Jiaogulan has the ability to inhibit carcinogenic cells of various forms of cancer. Currently, scientists are engaged in exhaustive studies into the herb’s anti-cancer activity as well as its potential in the form of a prophylactic/ protective agent for patients infected with HIV. Some of the findings suggest that Jiaogulan may work to prevent healthy cells from turning out to be carcinogenic and, at the same time, interrupt with the rapid proliferation of the existing carcinogenic cells. Findings of many studies undertaken to examine the adaptogenic effects of Jiaogulan have shown that the herb is useful for lowering hypertension, while raising hypotension - thereby sustaining the normal range of blood pressure. Studies undertaken in vitro (laboratories) also suggest that in isolated heart cells, this herb encourages nitric oxide release. Scientists are of the view that it is possibly one means by which jiaogulan normalizes the blood pressure, reducing hypertension. During a double-blind study, scientists administered gypenosides (saponins present in Jiaogulan) to people enduring a condition known as Grade II hypertension. 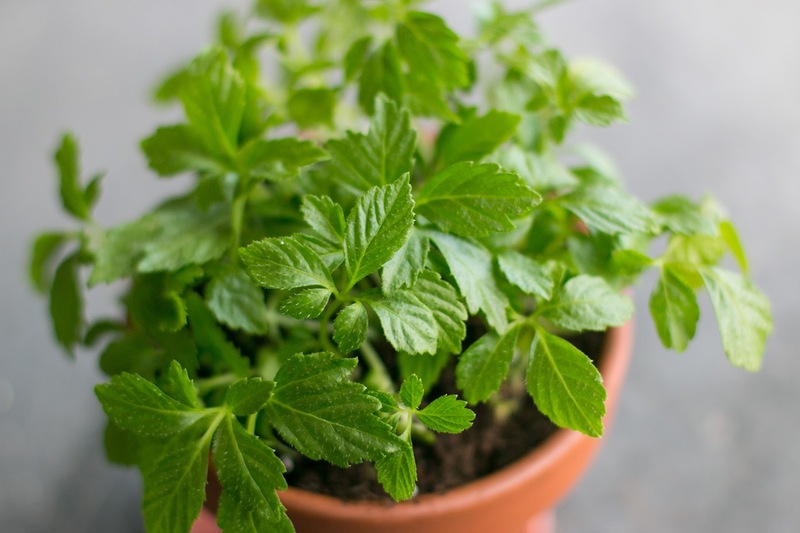 The findings showed that the herb is 82 percent effectual in lowering hypertension. On the other hand, ginseng has been found to be 46 percent effective, while a hypertension medication called indapamide is 93 percent effective in lowering high blood pressure. Many people often consume jiaogulan in the form of an herbal tea. In addition, the herb is also available in pill and capsule forms. Jiaogulan is also sold in the form of an alcohol extract. Some people use jiaogulan as an anti-aging agent, antioxidant, and detoxifying agent. The leaves and tender stems of Jiaogulan are edible when they are cooked. The flavour of the leaves of Jiaogulan is somewhat sweet and they are also used to prepare a tea. Jiaogulan is possibly safe when taken by mouth short-term (up to 4 months). Jiaogulan can cause some side effects such as severe nausea and increased bowel movements. Pregnancy and breast-feeding: Jiaogulan is possibly unsafe when taken by mouth during pregnancy. One of the chemicals in jiaogulan has been linked to possible birth defects. Not enough is known about the safety of jiaogulan during breast-feeding. Stay on the safe side and avoid use. “Auto-immune diseases” such as multiple sclerosis (MS), lupus (systemic lupus erythematosus, SLE), rheumatoid arthritis (RA), or other conditions: Jiaogulan might cause the immune system to become more active. This could increase the symptoms of auto-immune diseases. If you have an auto-immune condition, it’s best to avoid using jiaogulan until more is known. Bleeding disorders: Jiaogulan may slow blood clotting. There is a concern that it might make bleeding disorders worse. Surgery: Jiaogulan might slow blood clotting. There is some concern that it might increase the risk of bleeding during and after surgery. Stop using jiaogulan at least 2 weeks before a scheduled surgery.